Hop! Ho p! Hop! 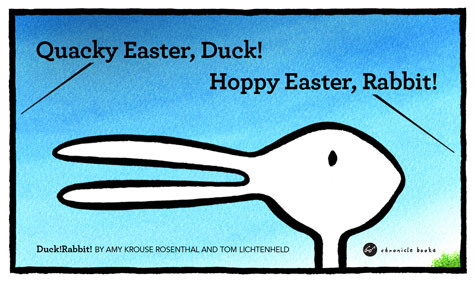 Watching children hop around the children’s library looking for Easter eggs is hysterical! I love to get kids moving during storytime. You guessed it. We had an Easter egg hunt this week in anticipation of the upcoming holiday. 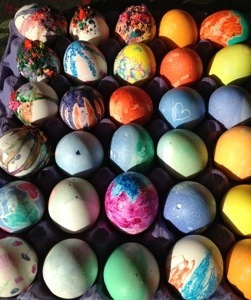 Before children arrived, I hid colored plastic eggs filled with stickers in easy-to-find and hard-to-find nooks and crannies. (At the outreach program I also added goldfish crackers since clean-up is easier there.) Kids immediately saw the eggs, but we were able to convince them to sit down for storytime anyway. The anticipation grew and grew and grew throughout the stories and songs included this week. Kids were spotting eggs and proclaiming “I see one!” at every opportunity. 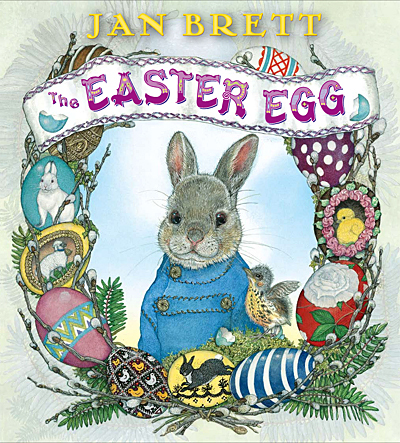 The first story I read was Jan Brett’s The Easter Egg filled with elaborate eggs, kind bunnies, and detailed illustrations on each page in classic Brett style. 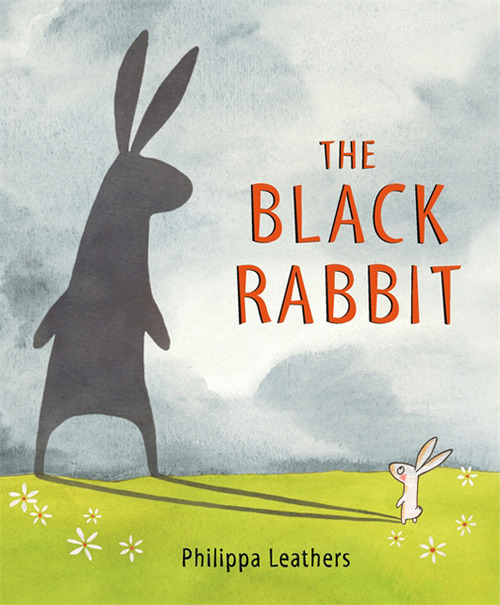 I followed up with The Black Rabbit by Phillipa Leathers a sweet little tale about a bunny afraid of his shadow (the black rabbit) who just won’t quit following him. The rabbit tries to shake the stalking black bunny through the early pages until that black shadow eventually scares off a predatory wolf just in the nick of time. The kids easily understood that the black rabbit was a shadow so the story was less scary than it could have been. 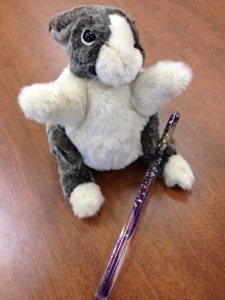 Next up was Little Bunny Foo Foo with the help of my magic wand. I modify some of the words as I go if there are any scared faces in the crowd and I explain that a goon is a useless monster that can’t do anything (including scare little children) to diffuse initial fears. I’ll give you 3 chances. Then I’ll turn you into a goon! 3. “I gave you two chances. If you’re hoppy and you know it, hop around. At this point the kids were up and ready to grab for the first egg they saw. To slow the older kids down, I told them this egg hunt was special because they had to jump like bunnies to find eggs and once they found one they could then help someone else find an egg (I had just enough). Off they hopped and the adults couldn’t help but laugh. I then met the families at the craft table to help them sort out the easy bunny in the grass project I found at Busy Bee Kids Crafts. 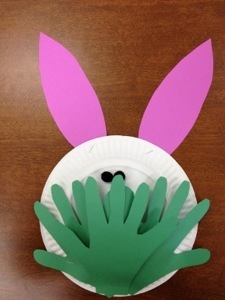 At the last minute, I decided I needed bunny ears for storytime. I made these right before everyone arrived and then cut some extra strips for anyone who might want a matching set. Almost every one of the 25 kids walked out with bunny ears. Simple and fun! 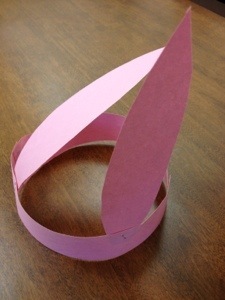 All you need is one sheet of pink construction paper (cut into four strips), a pair of scissors and a stapler. 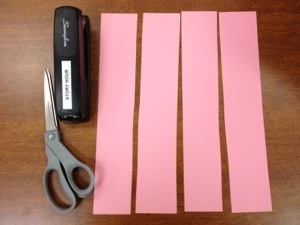 Staple two strips together to make a band that fits around your head and then cut the other two in the shape of ears to staple on the band. Some little ones colored their ears to make them extra special. This marked the last week of storytime on the road, a three month pilot project which allowed me to visit rural community meeting places and a school approximately twenty-five miles from our library. The grant funded storytimes were definitely successful and we hope to continue them again in the future when funds allow. Thanks to a visit from a local public radio reporter, the program received some great publicity. The radio story and the beautiful photos were heartwarming. I highly recommend letting local news media know about your outreach projects. 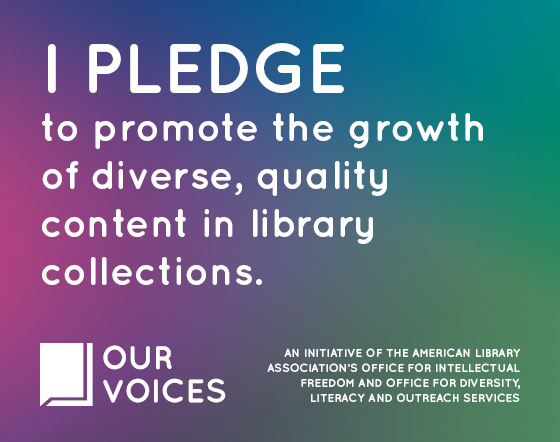 It’s a great opportunity for advocacy!